Reverse osmosis removes salt and most other dissolved inorganic material present in the water. It is a kind of membrane separation techniques, when external pressure is applied to the more concentrated(feed water) side of the membrane to reverse the natural osmotic flow. This forces the feed water through the semi permeable membrane. 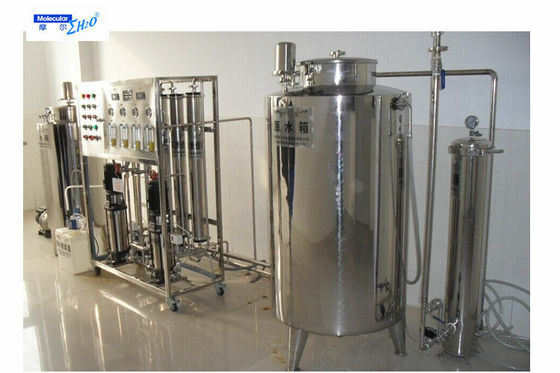 The impurities are deposited on the membrane surface and sent to drain and the water that passes through the membrane as product water is, for the most part, free of impurities. The system which is made up of reverse osmosis components is reverse osmosis system. Others Flow metre, TDS metre, pressure metre, electromagnetic valve, etc. 1. 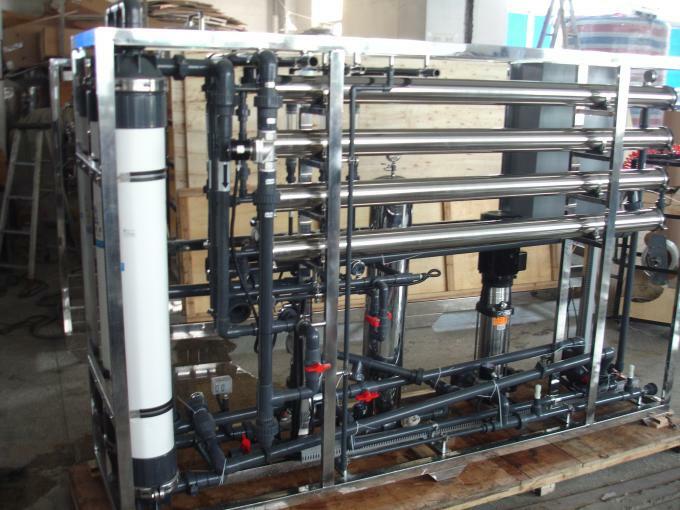 System can produce water continuously and high degree automation. 2. No need chemical to regenerate, easy operation and maintenance. 3. Core components of ro system are imported USA DOW membranes. 5. 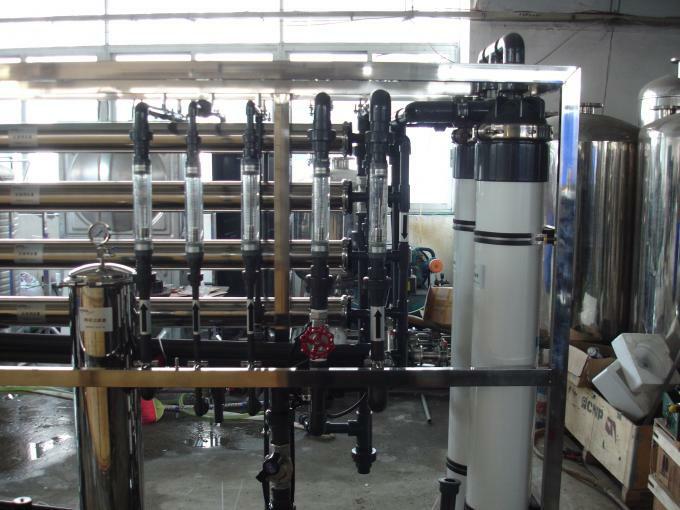 System flushes RO membranes automatically, reducing membranes polluted speed. 7. 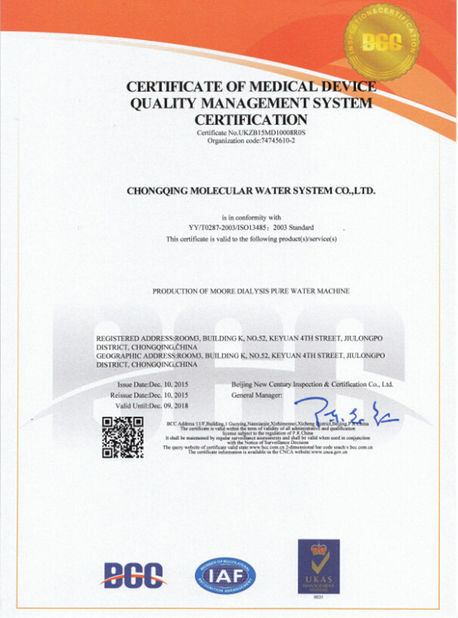 Product water conductivity meter can monitor water quality online continuously. 10. Easily control and Maintained. 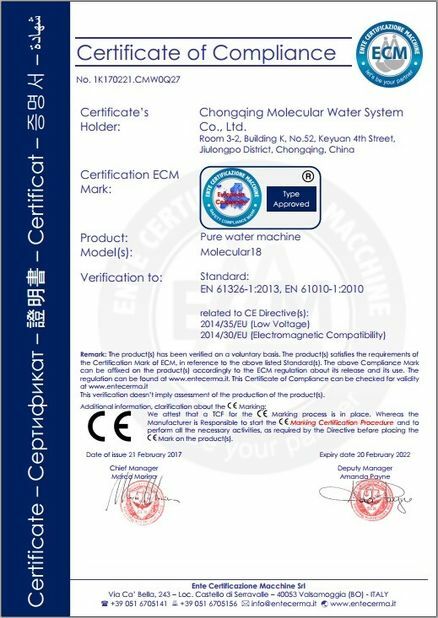 Feed water- Feed water pump- Multimedia filter- Activated carbon filter- Softener/Scale inhibitor device-Precision filter- 1st stage high pressure pump-1st stage reverse osmosis unit- 2nd stage high pressure pump- 2nd reverse osmosis unit- Pure water tank.